MOXI Hazardous Areas Services offers clients a full range of hazardous area electrical services across a wide aspect of electrical systems, including installation, maintenance, inspections, electrical equipment design reviews and classification of hazardous areas along with dossier build support and maintenance. 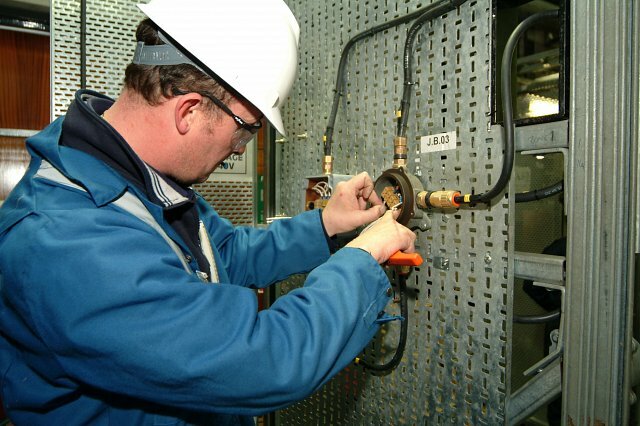 MOXI HA Services have extensive experience in installing and maintaining hazardous area electrical systems in both upstream and downstream facilities within the Australasia Oil & Gas business and also across various industrial environments from pharmaceuticals to distilleries and into Mining etc. Our geographical experience ranges from Northern China through to Northern Europe and into North America and further into Italy and throughout South East Asia. Following best industry practice MOXI HA Services have developed and implemented a competency management system, which ensures that personnel provided to the industry meet the requirements of any given scope of work. This ensures our personnel are fully qualified and trained in all aspects of the particular discipline they are working within. Our Supervisory Electrical Inspectors go even further in their knowledge, competency and experience not only of EEHA but of managing teams to achieve and exceed client expectations. Our clients include Woodside, Chevron, BP, Shell, Nexen, ConocoPhillips, BG Group and Centrica Energy, Bechtel, JKC, Stena Drilling, Noble Drilling, Ensco, COOEC and many others. MOXI HA Services offer cost effective, technical solutions to meet all the latest industry legislation and standards. Our successful track record of delivering projects in a safe and reliable manner has enabled us to develop long term relationships and retain contracts with our customers. With our highly qualified and experienced team of Project Managers, Inspectors and Technicians, MOXI HA Services provides clients with a comprehensive range of services for inspection and maintenance of Ex equipment within hazardous areas to ensure compliance with AS/NZS 60079-17: All our electricians and inspectors are fully AS/NZS certified and some are dual accredited with IECEx Certified and Compex approval, with considerable hands on experience on Ex equipment. MOXI HA Services can manage, maintain and replace all Ex equipment within an asset with comprehensive reports issued to the client on a regular basis. View our Capability Statement here.